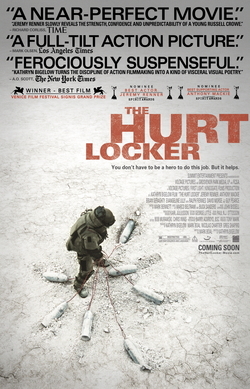 Learn the Different Uses of The word "FORA"
- Learn the different uses of The word "FORA"
In this episode, I’m going to read a text about the movie “The Hurt Locker”, that won six awards at the 2010 Oscars, and we are also going to learn the several meanings of the word “fora” in Portuguese. O filme sobre o conflito no Iraque “Guerra ao Terror” foi o destaque da cerimônia do Oscar 2010 com seis prêmios, incluindo o de melhor filme e melhor direção para Kathryn Bigelow, que tornou-se a primeira mulher a vencer nesta categoria. This entry was posted on Sunday, March 21st, 2010 at 10:16 am	and is filed under Uncategorized. You can follow any comments to this entry through the RSS 2.0 feed. You can leave a comment, or trackback from your own site.